If you’re reading this you might be wondering if it’s time to get some support with your parenting, so you can create a happier, more relaxed family life. And a happier, more relaxed you! I recognise that just to open this discussion might be a huge step for you. You might feel you shouldn’t need to ask for help. You should’t be finding parenting difficult. It should come naturally. Or you may feel you’re doing ok – you’d just like to have a more in-depth understanding of your child and some tools for when their behaviour gets tricky. Either way, if you’re sitting on the fence, you’d probably like to have an idea of what my support actually involves, before taking the first step of reaching out. This is why I’ve decided to write an overview of what’s involved in my main parenting programme, Happy Child Happy Family. I created this programme because, in my view, most of our parenting struggles arise out of misunderstandings between parents and children. Misunderstandings that can be quite easily solved. When we embark on Happy Child Happy Family together, I help you solve these misunderstandings, so that – instead of stress and struggle – the incredible love you and your child have for one another is expressed 100% more consistently. When this happens, it is as amazing as it sounds. So, how does the process look in practice? Well, the first step is that you book a Happy Family Review Session with me. This is an hour-long call for which there is no charge, during which we both establish if we’re a good fit for for each other. At this stage we’re just exploring. 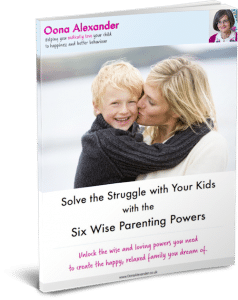 You also get lifetime access to my Six Wise Parenting Powers videos. These give you an in depth understanding of the principles I use to help you transform your parenting experience. Our 1-to-1 mentoring conversations are both practical and profound. We work together to solve recent struggles with your child and develop a plan of action for the coming week. When unravelling what’s happened we dive deep, and this sometimes takes us back to your own childhood experiences. Time and time again we find ourselves addressing ONE THING: Feelings – both your feelings and your child’s. We do this because feelings so often gets forgotten or ignored in families – even when parents try NOT to do this and know in theory how important feelings are. Most of us simply haven’t learnt the language needed to support children fully with their feelings. And as far as our own feelings are concerned, we’ve been trained to control, disregard or suppress them. In addition to this, we don’t quite realise how disruptive feelings are, behind the scenes, when they haven’t been given the attention they need. Every process that I take you through, every parenting tool I teach you, every script I create for you, every aspect of every conversation I have with you is designed to solve the difficult, unresolved feelings that are upsetting family life. By giving attention to these feelings, we heal the chronic misunderstandings I mentioned above. How you feel directly impacts way you parent your children. If you’re feeling exhausted, guilty or impatient, this is going to prevent you from being the parent you want to be. 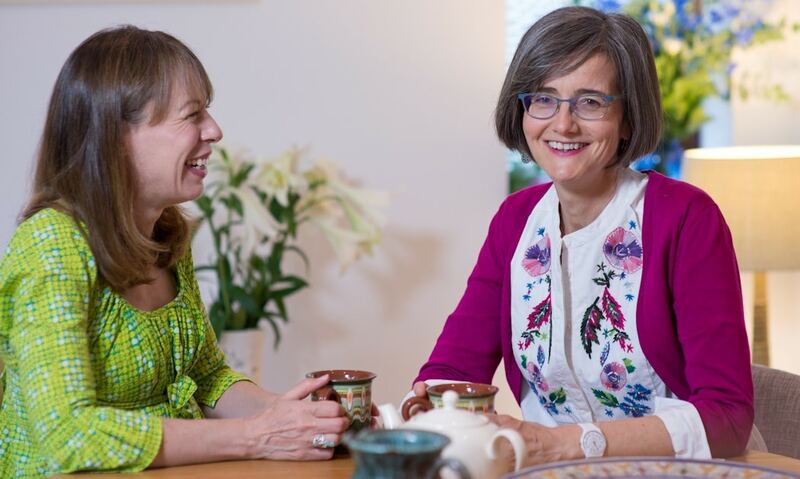 How to feel more energised and balanced in your daily life so that instead of having your buttons pressed by your child, you’re able to address challenging behaviour with presence and calm. How to transform the powerful stories you tell yourself about yourself as a parent. This work is so important. Unhelpful stories (about being a bad parent, for example) make us feel terrible, the result being that we lose our patience. Compassionate, truthful stories, on the other hand, enable us to be our most loving, powerful selves with our children. How your child feels also directly affects family life. If they’re feeling anxious, disappointed or jealous, they’ll let you know through what we call “bad behaviour”. That’s their way of expressing difficult feelings. How to solve it when children are reacting, erupting or running wild. You’ll get sensitive, loving, ways to solve the difficult feelings that underpin this behaviour, so that you can put an end to conflicts and power-struggles. How to easily bring them to do things – for example, get dressed or ready to go out, in ways that feel good to you children and help them feel seen and loved. How to help them feel safer and happier in life as a whole, so that difficult behaviour doesn’t arise in the first place. You also create an emotionally intelligent family, where feelings are welcomed. This way, you heal cycles of hurt that may go back generations. Some parents I work with are keen to address their own feelings. Others are more focussed on ways to support their children better with theirs. Whatever the emphasis of our work together, you emerge confident that you’re able to raise emotionally healthy children. I believe that working in this way is the fastest and most profound route to a happier, more relaxed family life and a happier, more relaxed you! If, having read this, you feel ready to take that first exploratory step of booking a free Happy Family Review Session with me, I open a few slots every month. Click below to book.